If you're reading this book, your life is about to get a lot more dangerous. In these top-secret files, Rick Riordan, Camp Half-Blood's senior scribe, gives you an inside look at the world of demigods that NO regular human child is allowed to see. These highly classified archives include three of Percy Jackson's most perilous adventures, a Spotter's Guide to Monsters, a Who's Who in Greek mythology, Percy's Summer Camp report and much more. So, if you're armed with this book, you'll have everything you need to know to keep you alive in your training. Your own adventures have just begun . . . I could keep reading this series forever! The books about Percy Jackson are amazing. My 10 year old, very reluctant reader is now going through them at a rate of knots never seen before. He is reading at least 1 book every 5-6 days, and just loves them. He now prefers reading to playing on his ipad!! 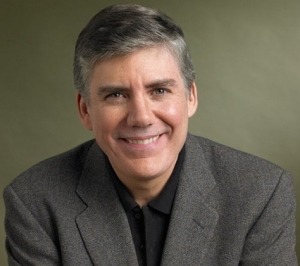 Please Rick Riordan, keep writing! If you are reading this book, I can only apologize. Your life is about to get much more dangerous. By now, you have probably realized that you are not a mortal. This book is meant to serve as an inside look at the world of demigods that no regular human child would be allowed to see. As senior scribe at Camp Half-Blood, I hope the top-secret information within will give you some tips and insights that may keep you alive during your training. The Demigod Files contains three of Percy Jackson's most dangerous adventures never before committed to paper. You will learn how he encountered the immortal and terrible sons of Ares. You will find out the truth about the bronze dragon, long considered to be only a Camp Half-Blood legend. And you will discover how Hades gained a new secret weapon, as well as how Percy was forced to play an unwitting part in its creation. These stories are not meant to terrify you, but it is important that you realize just how perilous the life of a hero can be. Chiron has also given me clearance to share confi­dential interviews with some of our most important campers, including Percy Jackson, Annabeth Chase and Grover Underwood. Please keep in mind that these interviews were given in strictest confidence. Share this information with any non-demigod and you may find Clarisse coming after you with her electric spear. Believe me, you do not want that. Study these pages well, for your own adventures have only just begun. May the gods be with you, young demigod!